Although today is April, 1st, there is no joke about today’s guild and their mission. How would you explain gearing up for endgame to someone who has never played a MMO? It is not an easy thing to do. Because those that have never played a MMO before might have trouble figuring out the process for endgame and can get discouraged. This is where the Republic University steps in. They focus on helping players learn their class, how to group and group etiquette, as well as helping them gear up for endgame. How did this come about and what happens to members once they get all geared up? These are the questions we will find out the answers to and more. First off, tell us a little about yourself and how you got into gaming? I got into gaming in the late 60s. I started with war games (boards) and then graduated to D&D. When the first home computer came out I bought a TI-99 and immediately began programming games and applications. Those were the days that cassette tapes were used to store data, and, if I remember right, computers had at most 2500 bits of ram. My next computer was a Commodore Amiga. This is where I really began to get into store bought games. The Amiga was years ahead of the IBMs in graphics and was fun to play. The best game I played on the Amiga was X-COM. I finally gave up my Amiga for and IBM because all the programs were being written for the IBM. The first MMO I played was Everquest, then WOW, DAOC, etc. As people can probably figure out, I’m older (56). I’m also retired, so I’m able to get in a lot of play time. What server and faction can be associated with this guild? We are on the Shadowlands server, and, at present are only on the Republic Side. What is the main purpose behind the Republic University? Republic University is for new players and those leveling. We help them learn the game, level to 50, gear up and then place them with a raiding guild. As such we don’t do operations, but our whole purpose is to get people ready to do them. What led up to the idea behind creating this type of guild? I got the idea for the guild from EVE online which had EVE University for new players. I get deep satisfaction from helping others and this is a big part of MMOs to me. How does the Republic University go about meeting the goal of getting players ready for endgame? We start with several tutorials explaining the basics of MMOs. We teach them what tanks, dps, and healers do. We explain that even when playing solo these roles have to be fulfilled somehow. We move on from these basics to teach about things like crafting, skill trees, and companions. At the end of the process we have a tutorial for new 50s educating them about the end game, and help them run Hardmode instances. This is a problem. In fact we have several 50s in the guild right now that simply don’t want to leave. We put them to work as teachers, but I bug them constantly to move on to the endgame as they will enjoy the game more that way. What roles do some of your core players that stay on with guild? We have three tiers for members to move through in the guild. They move from students to mentors, to teachers, and to professors. In these roles they take on increasing responsibilities to help newer members of the guild. We expect mentors to help people of their own class, teachers to answer questions about areas of their experience in the games and professors to oversee the guild’s business (officers). Does the guild focus solely on PVE endgame or does it also help with higher level PVP as well? We do have a PVP instructor. He helps players 1-49 to learn to PVP. We’re finding that a lot of the new people simply aren’t interested in PVP, but I keep trying to encourage them to not be afraid of dying. As an aside here, we are recruiting a lot of new players since f2p entered the game. Most of them have no experience with MMOs—they are simply Star Wars fans. About half of them don’t stay with the game past level 30. We have a strict rule of removing anyone who hasn’t signed in for 45 days (unless they use the member’s note to tell us they will be gone), so we keep the guild lean and active that way. We keep our membership around 130 because we’ve found we can’t help greater numbers than that. We are seeing that those who stay with the game generally subscribe around level 15 or so. How has the upcoming expansion changed your curriculum at Republic University? Is the guild excited about the new content? No, it hasn’t changed our curriculum, except we have made the adjustment to encouraging players to gear up with Blackhole gear. The expansion has been a source of excitement among our higher level players and I believe the newer players are looking forward to the extra levels as well. Besides gearing, what other areas does the guild help get players ready for endgame Operations and Hardmode Flashpoints? The guild encourages Hardmode instances for gearing up. We also encourage our players to pursue Blackhole gear. With the new equipment provided to players reaching 50 not much preparation for the Hardmode flashpoints is needed beyond explaining group roles and group etiquette. Are there some basic tips you can share with us on being a better endgame player? After learning group roles and group etiquette the most important thing which makes for a better end game is to be willing to use voice communications. We’ve tried to introduce players to this, but they have been reluctant. Is the Republic University currently recruiting? If so are there specific classes, specs, or gear a new recruit should have before applying? We always accept applications and all guild members can invite into the guild. On the other hand, we quit our active recruitment activities once the guild reaches 130 members. We’ve found that numbers over this amount stretch us to thin to fully help members. How is the best way for players to get in touch with you or the other officers in the guild about enrolling at Republic University? Send Ahnog an in-game Email. I will put you on my friends list and the next time we are both on together I will invite. You can also go to our website for information and to read our forums. Thanks to Ahnog for submitting his guild’s website and his help with this week’s article. I really admire the guild’s focus to help others in the community. This is truly something each of their members should be commended for doing. As most of “March Madness” has wrapped up, we saw that it’s not easy to know which university to pick…however when it comes to getting fellow players ready for endgame and helping them find a raiding guild, you can safely pick the Republic University every time. If you would like to have your guild highlighted on Community Checkpoint, like the Republic University…all you need to do is submit your guild/group’s website and some basic information in an email to me at, jason@corellianrun.com. 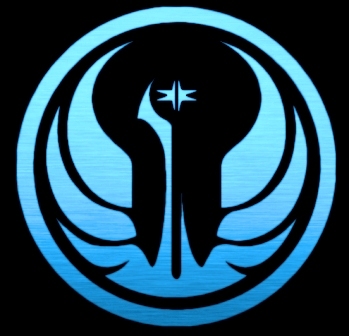 We love to highlight members in the SWTOR community, from guilds to the many people working to plan events, contest, etc. We look forward to hearing from you! Thanks and see you a couple weeks!